Using the cut list above, cut the steel to length. You can use a hacksaw or a saw with a metal cutting blade for this. After cutting the pieces, use an angle grinder to grind the metal burrs down. Follow up with a belt sander to smooth everything out. 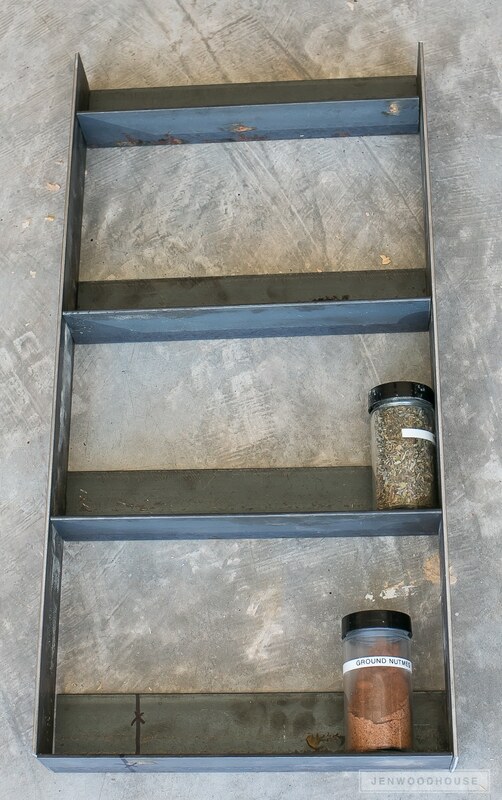 Next, dry-fit the pieces together.You can use spice bottles to space out the shelves. The shelves ended up being 6 inches apart. Before we fire up the torch, we have to clean the metal. I used brake cleaner to clean all of the parts. Now that the metal parts are sanded and cleaned, it’s time to fire up the torch! Always use safety glasses and protective gloves when operating the torches. This handy kithas everything you need to complete a small project. Estimate between 3-5 oxygen cylinders for this project. First, check the cylinders for leaks. Here’s a great video on how to do this, along with some helpful torch safety tips. After you connect the torch to the cylinders, open the fuel valve slowly and use the spark lighter to ignite the torch. The flame will appear soft yellow and should be between 4-6 inches long. Slowly increase the flow of the fuel by adjusting the fuel valve so that the yellow portion of the flame touches the tip of the torch. Adjust the fuel valve until the flame is about 7-9 inches long. Then, gradually open up the oxygen valve until there is an inner blue flame about 1/2 inch long at the tip of the torch. The outer blue flame may be longer. This is the welding/brazing flame we’ll need. Before you start, prepare the work surface. If your workbench is made of wood (i.e. combustible material), you can place several bricks down and use that as the work surface. 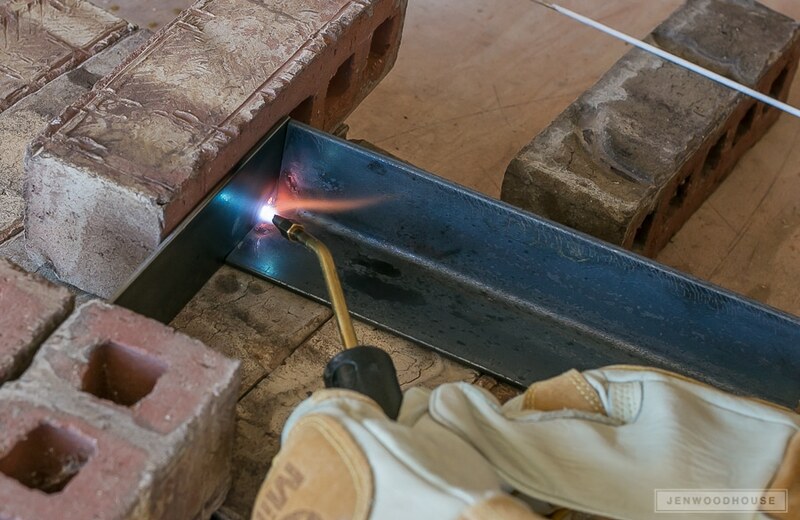 The bricks also hold the flat bars in place as the blowtorch is used, and retain heat. Use the torch to start heating up the two metal pieces. Move the torch in small circles and work along the joint. The heat is cumulative, so keep the torch in motion because the metal will want to dissipate the heat. Once you achieve an even, rosy orange glow, then you’re ready to introduce the welding rod. 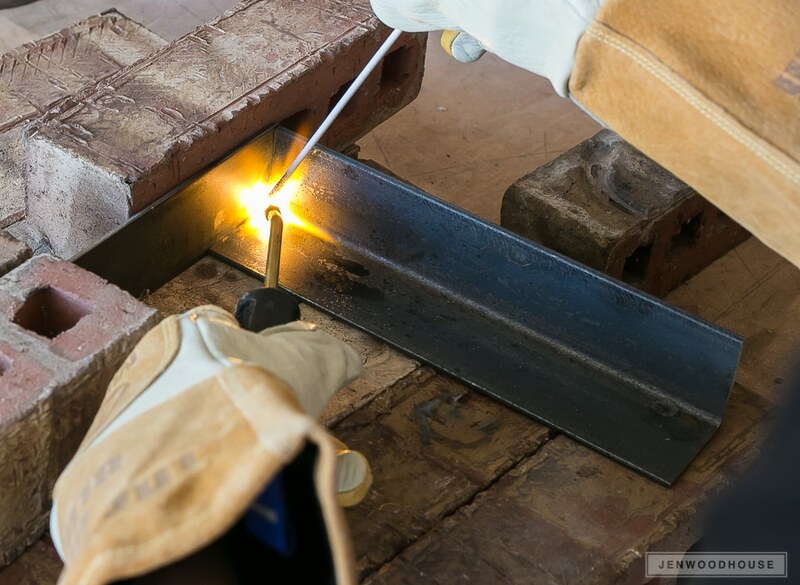 Once the metal is hot and glowing, use the brazing rod to braze the pieces together. Pay attention here because the brazing rod will melt pretty fast and will drip like molten lava. Use the rod to gently direct the melted metal along the joint. Put the brazing rod down and use the flame to flatten out the seam.Turn off the torch and use a wire brush to clean up the joint. Be sure to allow the metal to cool naturally. Don’t speed up the cooling process with water or you may risk stress fractures in the joint. After all the shelves are attached, it’s time to attach the hanging bar to the spice rack. This is the piece that will allow you to hang the rack on the wall. Cut a piece of flat bar to 10 inches and use a drill press to drill a couple holes into it. Tip: spray some WD-40 onto the drill bit as you drill to keep it from overheating. 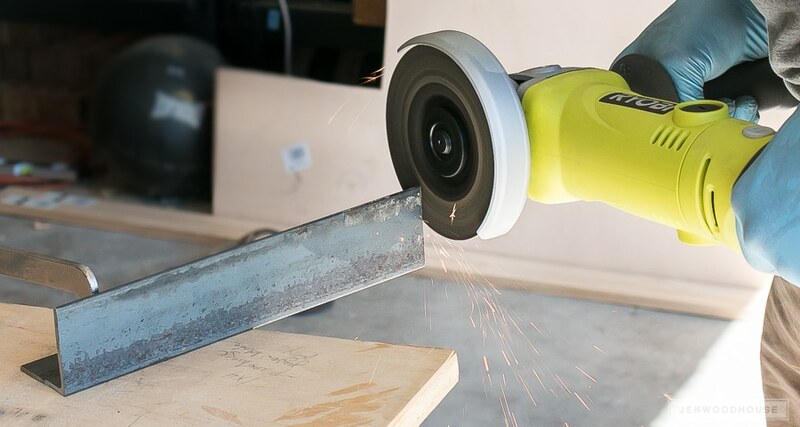 Use the angle grinder and belt sander to smooth away any sharp edges. 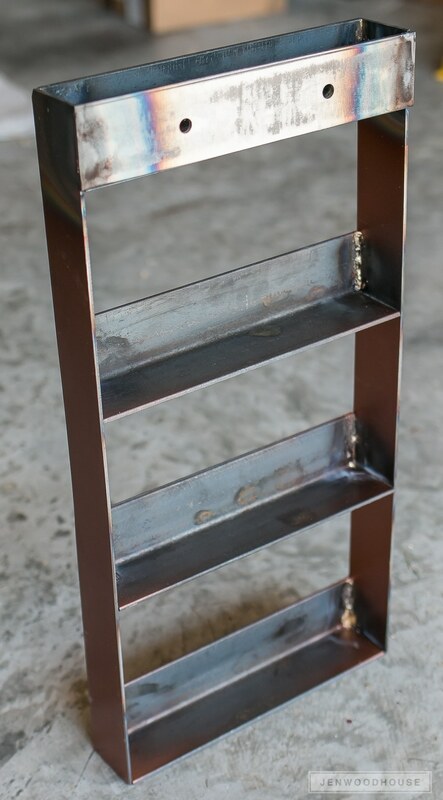 Clamp the back piece on and braze it onto the spice rack. 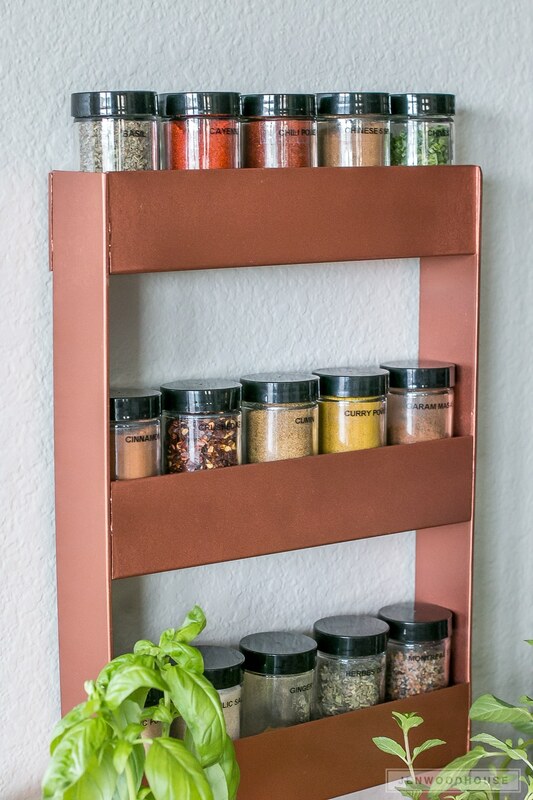 Finally, I used my favorite copper spray paint and spray-painted the spice rack and loaded it up with my spice bottles. 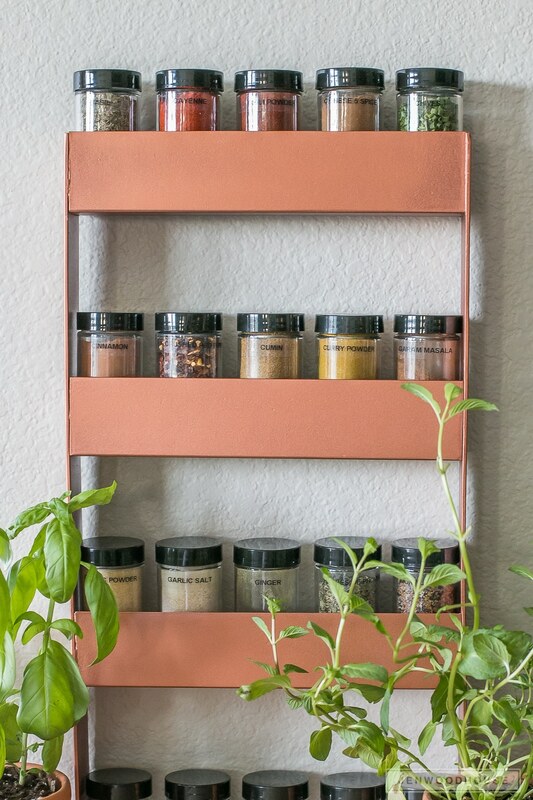 I bought my spice jars from Bed, Bath, & Beyond for 99¢ each. So many new possibilities now, right? Thank you, Eleanor Roosevelt. I just did the thing I thought I couldn’t do and I’m better because of it. Now. Let’s braze ALL THE THINGS. These brazed joints are super strong – it’s totally overkill for these tiny spice jars of course, but why build when you can overbuild? Oh, and one more thing – so how do we safely dispose of empty non-refillable cylinders? 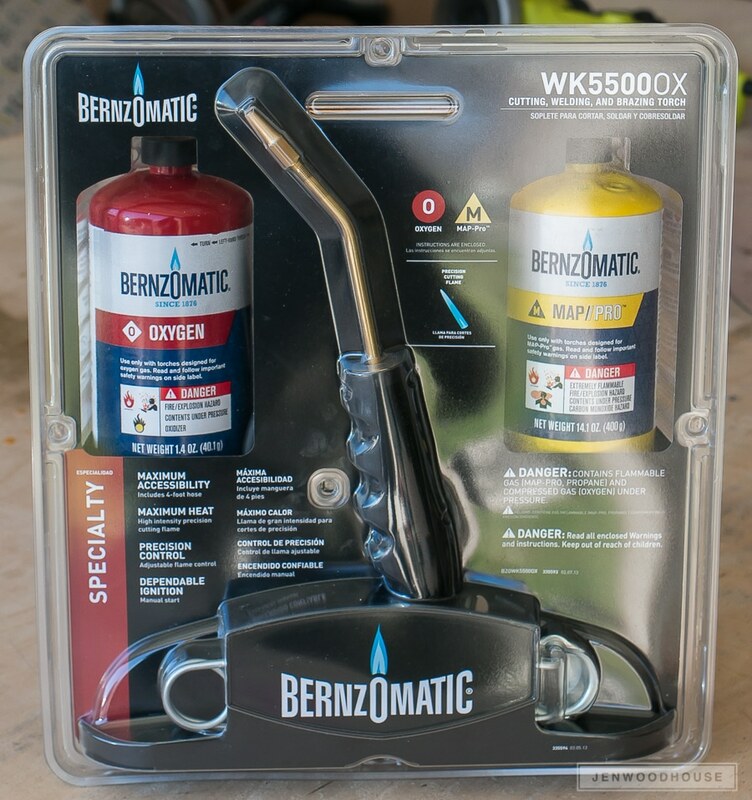 Bernzomatic actually has an initiative called CylinderSafe™ – you can enter your zip code and find a local disposal site so that you can properly dispose of your empty tanks. Super helpful. Okay, so you’ve probably noticed by now that we’re not using real copper here. 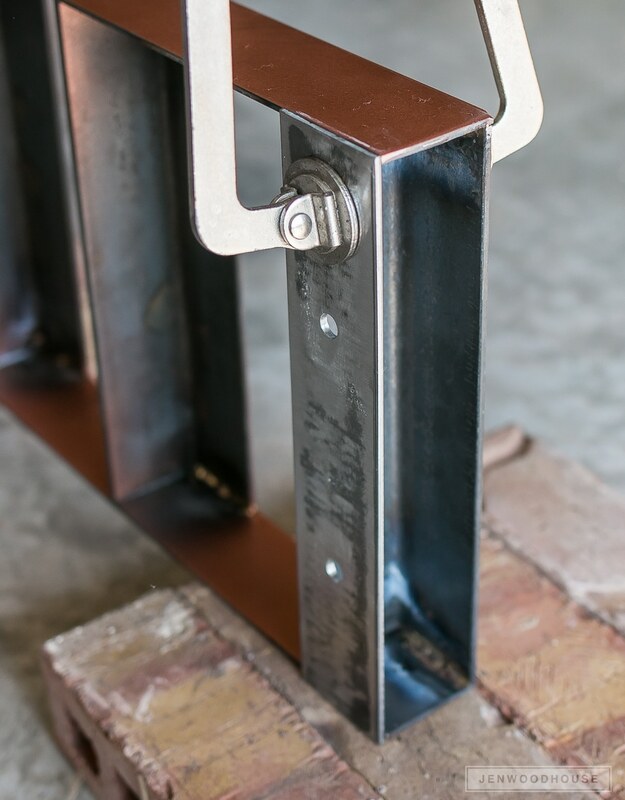 It’s actually steel that we spray-paint copper. This is optional, of course. You can leave the steel as is if you want a more industrial look.